As state legislatures continue to chip away at full-scope, comprehensive primary care, bills have been introduced to expand pharmacists' scope of practice in several states. The Academy's Center for State Policy will brief members on policy trends and advocacy resources with a free webinar at 3:30 p.m. EDT Thursday, May 2. Register below. In recent letters to House members, the Academy expressed support for new drug-pricing legislation and ongoing insulin inquiries. The AAFP recognized the SPIKE Act as a way to arrest alarming rises in prescription costs for family medicine patients. And a separate correspondence to lawmakers investigating insulin prices included bracing testimonials from primary care physicians. HHS' allocations for fiscal year 2020 should encourage increased density of primary care physicians, especially in rural areas, the AAFP told Congress in detailed written testimony March 28. The Academy asked for investment in the National Health Service Corps and the Teaching Health Center GME program, among other budget items. 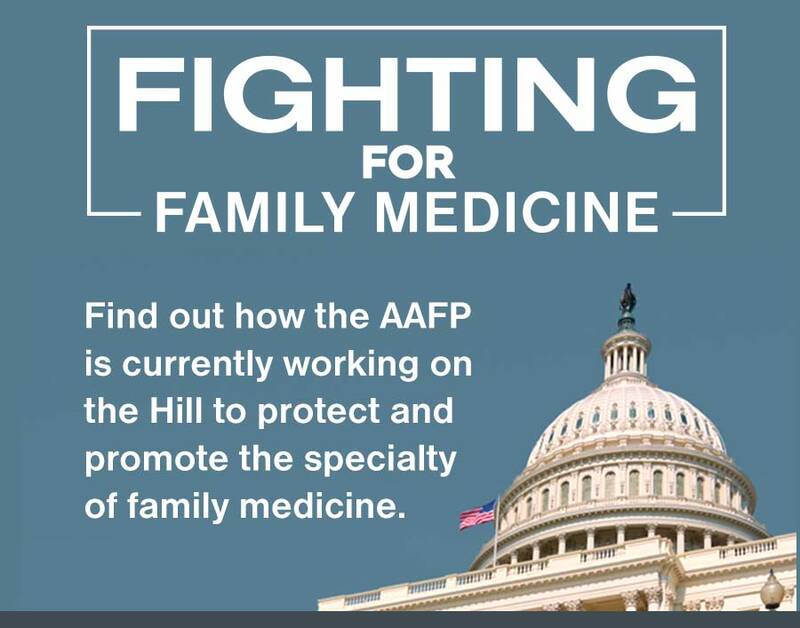 Get involved in the FamMedPAC to help elect candidates who will impact the ongoing fight for family medicine.